Located on fifteen acres of prime Wailea real estate, the Palms at Wailea features 150 Mediterranean-styled high end condominiums. Ranging in size from 1 bedroom and two bathroom to 3 bedroom and 3 bathroom, the Palms at Wailea has units to fit every need. Owners and their guests enjoy exclusive use of the breathtaking whale-shaped salt water pool, fitness center, painstakingly manicured grounds, and spectacular ocean views. Short-term rentals are permitted. 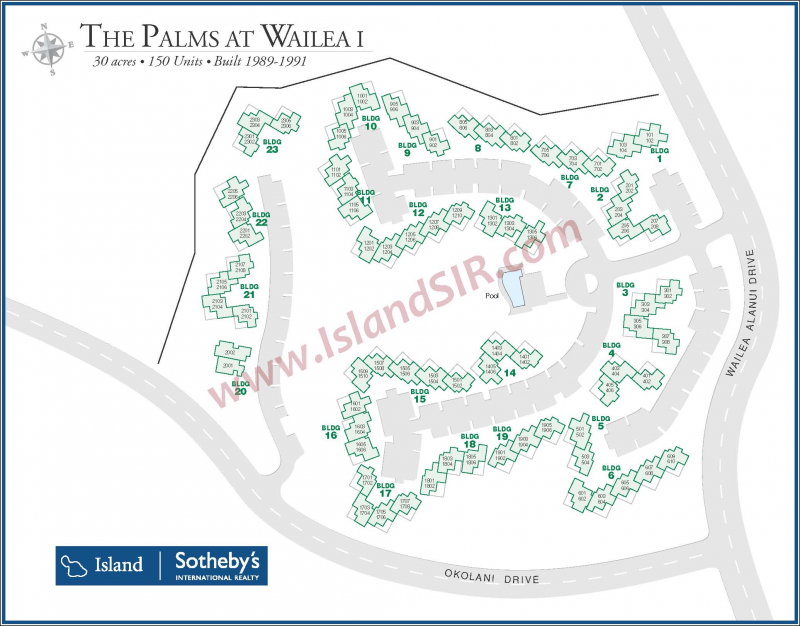 Thinking of purchasing or selling a Palms at Wailea condo for sale? Contact us for a private consultation - our team encompasses some of the utmost experts in the Wailea real estate market who would be happy to answer any questions.